Thunzi in isiXhosa, the local African language, means in the shade describing a typical lazy afternoon in the forest valley. 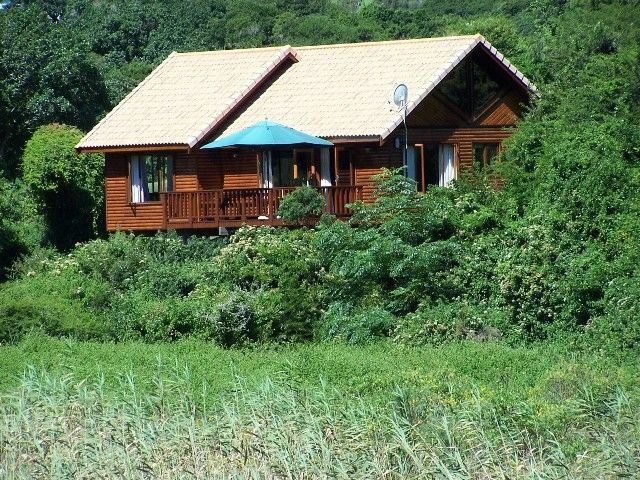 This tranquil sanctuary of coastal forest can be found in the malaria-free Eastern Cape province nestled at the base of a 44 hectare private valley overlooking the pristine and lush De Stades river wetland. 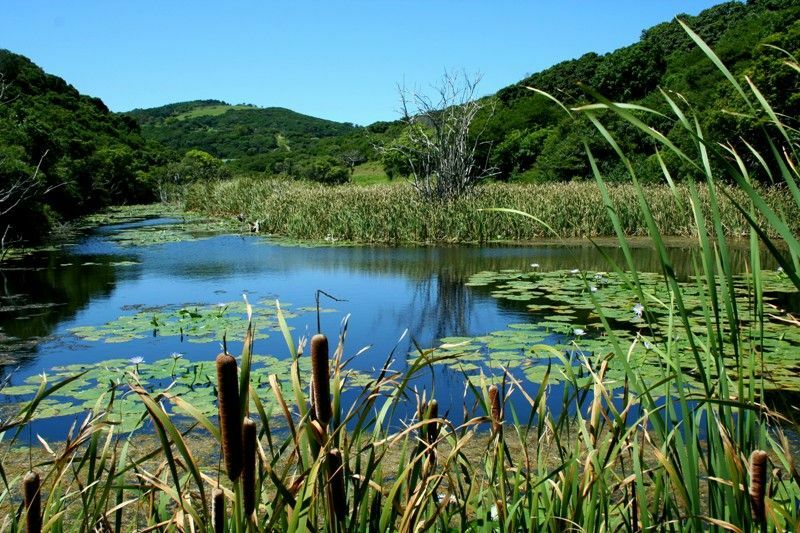 <br /><br />Conveniently situated en route to Cape Town only 25 km from the friendly city of Port Elizabeth and two kilometres from the untouched Maitland Beach, Thunzi is perfectly positioned as a charming natural destination to complete a scenic Garden Route adventure. 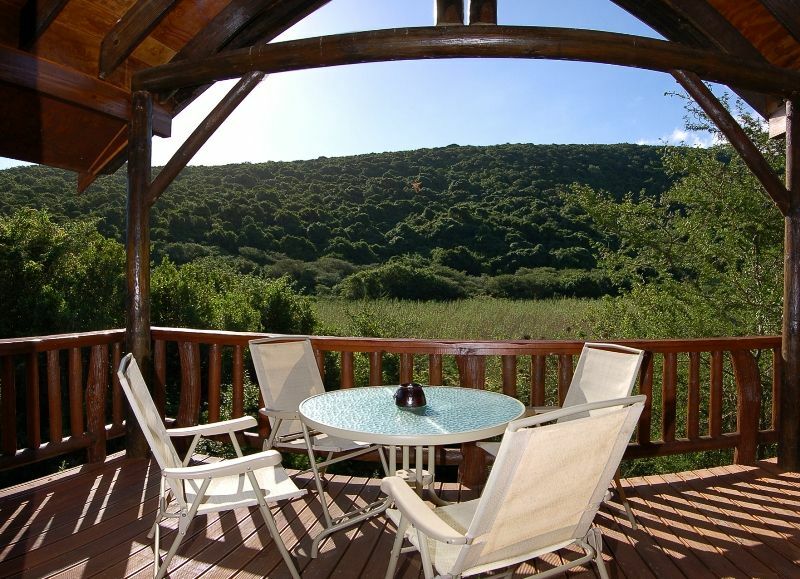 For those that enjoy the outdoors, this unforgettable property reflects the magic of Africa ensuring supreme relaxation, superior accommodation and friendly hospitality.<br /><br />We offer two one-bedroom self-catering chalets, one superior one-bedroom self-catering suite, one superior two-bedroom self-catering chalet, two-bedroom en-suite self-catering chalet, and one superior three-bedroom self-catering chalet.<br /><br />You can enjoy an afternoon out in the country where you will be surrounded by indigenous forest and bird song. Bask in the afternoon sun on a blanket and soft cushions with your picnic laid out before you; napkins, cutlery, crockery, glasses, and of course a gourmet delight when it comes to the food! Bookings are essential, picnics are offered Tuesday to Sunday from 12pm and exclude alcohol, but alcohol and coldrinks can be bought from Thunzi Bush Lodge.<br /><br />Thunzi offers a variety of activities, namely bird watching, a fishing tackle for the challenge of exciting bass fishing, shady forest and beach walks, sand boards for the Giant Sand Dunes only three kilometres from Thunzi and even relaxing spa therapies in the privacy of your own chalet. <br /><br />GOURMET PICNICS<br />Enjoy an afternoon out in the country where you will be surrounded by indigenous forest and bird song. Bask in the afternoon sun on a blanket and soft cushions with your picnic laid out before you...napkins, cutlery, crockery, glasses and of course a gourmet delight when it comes to the food!<br /><br />Our swimming pool, the lazy lizard, is also a perfect excuse to soak up the sun in true lounging fashion. While most of the estate is classified as coastal indigenous forest, the close proximity of grassland, acacia thicket and the De Stades River Wetland creates an ideal eco-diversity for bird watching and indigenous game viewing. <br /><br />The lodge supports abundant wildlife with over three hundred and fifty-two bird species having been listed in the area, including many elusive species such as the narina trogon, African rail, grey sunbird and the often heard buff-spotted, red-chested and striped flufftails. 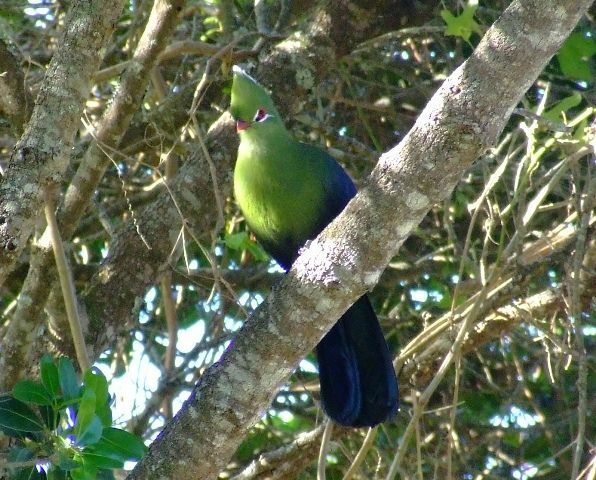 <br /><br />You are always assured of seeing the colourful Knysna turaco, our signature bird, with its magnificent crimson and green plumage.<br /><br />Enchanted forest walks on the reserve provide access to the dense indigenous coastal forest where a natural life of wild orchids, tagged trees, the rare blue duiker antelope, bushbuck and vervet monkeys can be spotted.<br /><br />The lodge is also situated on the doorstep of the Maitland Nature Reserve, a 127 hectare property comprising of three nature trails ranging from three to eleven kilometres, with the famous giant Maitland sand dunes and pristine shores of Maitland Beach a mere two kilometres away. 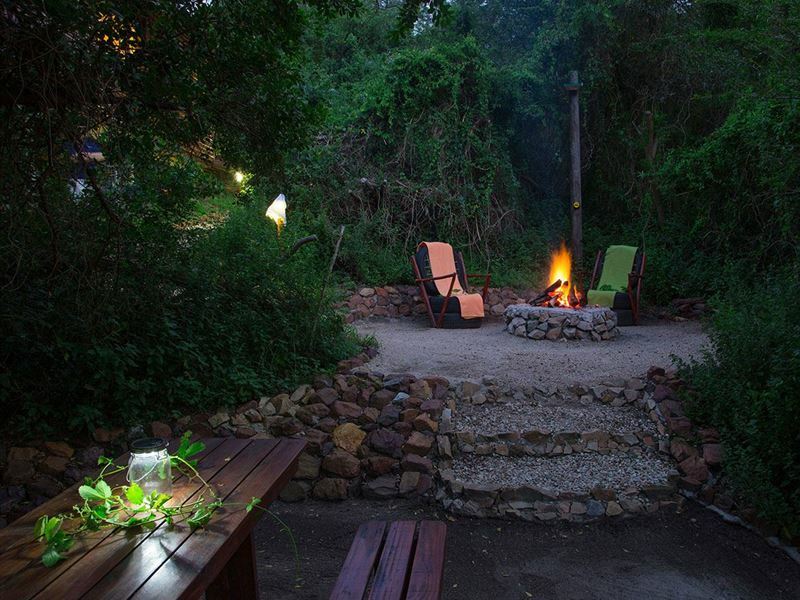 <br /><br />While it is easy to immerse yourself entirely in the natural beauty of Thunzi Bush Lodge, it is also amazing to know that within a 15 minute drive, you have access to a variety of game and wildlife attractions, modern shopping malls, and many other attractions. 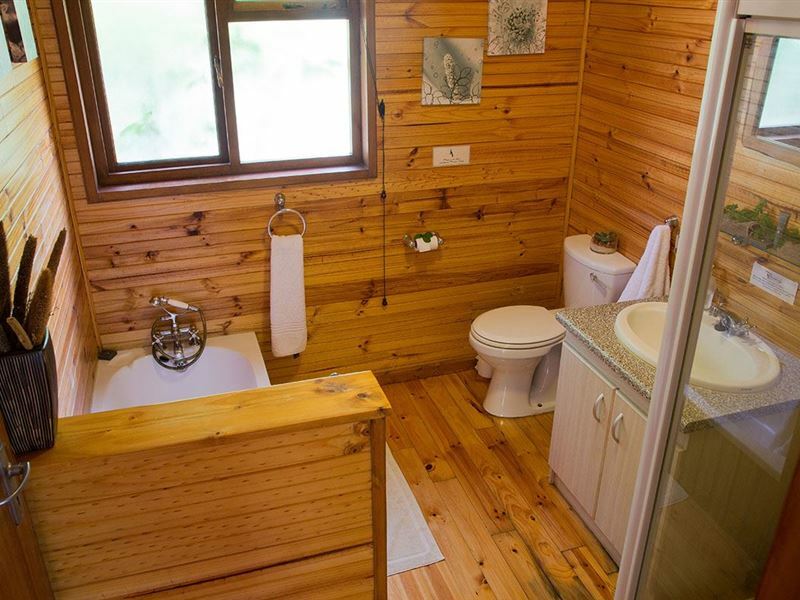 "Perfect for those who want to get away from the real worldCabins perfectly clean and user friendlyBeautifully decorated"
"Your lodge has been developed to perfection and it was an amazing experience. The facilities exceeded expectation and your attention to detail is evident. Thank you for a great stay!" "The absolute serenity and peace"
"I loved the cabin,the location of the lodge.The friendliness and caring of the manager.Breakfast on the porch would be incredible." "Loved the quiet surroundings, bird sounds and peace." "The view and being surrounded by nature." 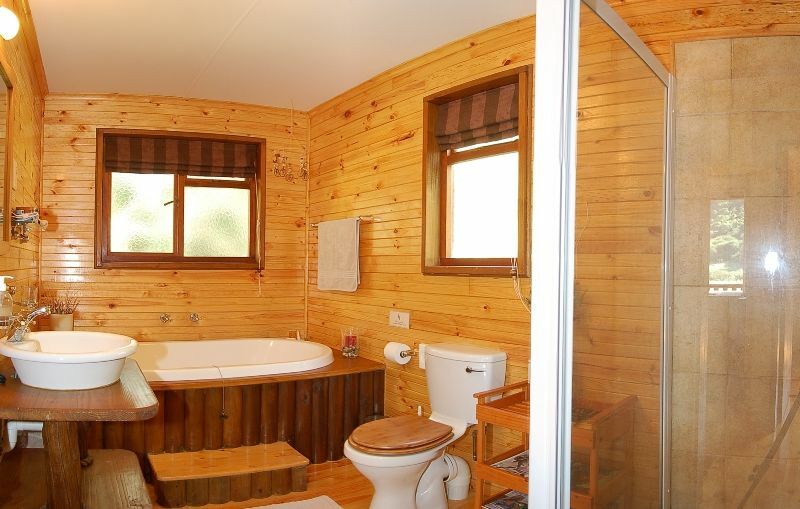 "The chalet was perfectly fitted with all the amenities. Unfortunately the weather wasn&apos;t great so could not make use of the boma or trails. But everything in the chalet was perfect. Sibongile was very friendly and helpful." "We had a great rest , exactly what we needed. Great place ,great facility , great staff." 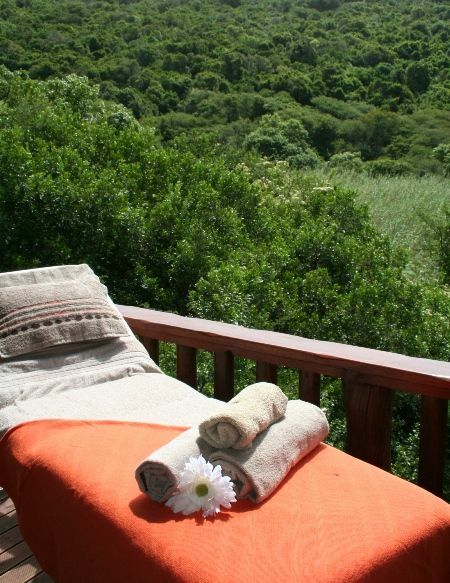 "Very relaxing and peaceful stay. 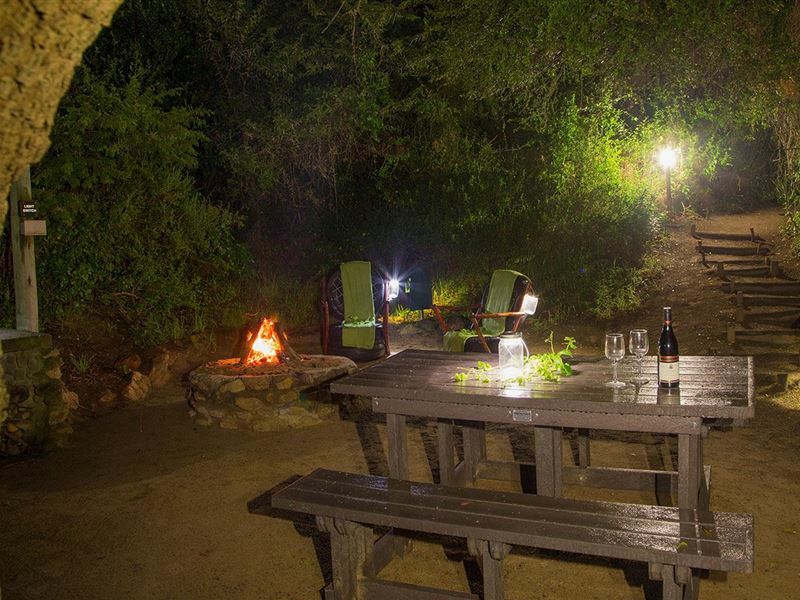 Cosy and private setting with lovely fire pit outside surrounded by bush. Unit well equipped and very neat." "My GF &amp; I spent a few days here. Lovely experience. Staff is friendly, beautiful scenery. Sitting on the deck listening to nothing but the trees &amp; the birds &amp; wind. Very peaceful &amp; relaxing. will be visiting again...Definitely a must, especially if you need a break from the city." "It was an amazing, relaxing experience. The peace and quiet was perfect to rejuvenate the body and mind. The room was warm and comfortable, especially with it being winter.My only snag was that the stay was too short.We will definitely go back again." "It is a very peaceful and relaxing place if you would like to get away for the weekend. We had a wonderful time. Would definitely recommend to friends. The farm style breakfast basket delivered to your cabin was unique and tasty."